Gray jay in the bog, by Haley Appleman. The group started off with smaller birds, finding white-winged crossbills, boreal chickadees, and a magpie. 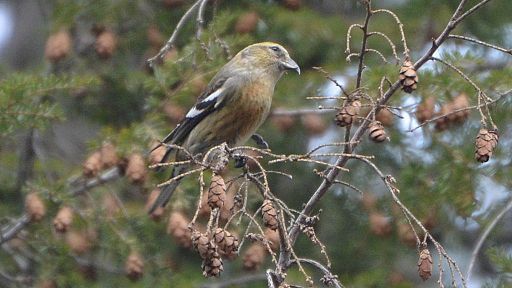 Female white-winged crossbill by Andy Reago & Chrissy McClarren. Boreal Chickadee, by David Mitchell. 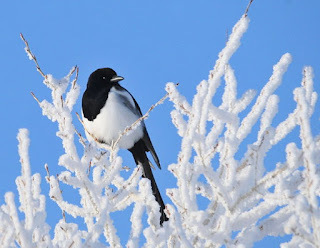 Black-billed magpie, by Tom Koerner, USFWS. 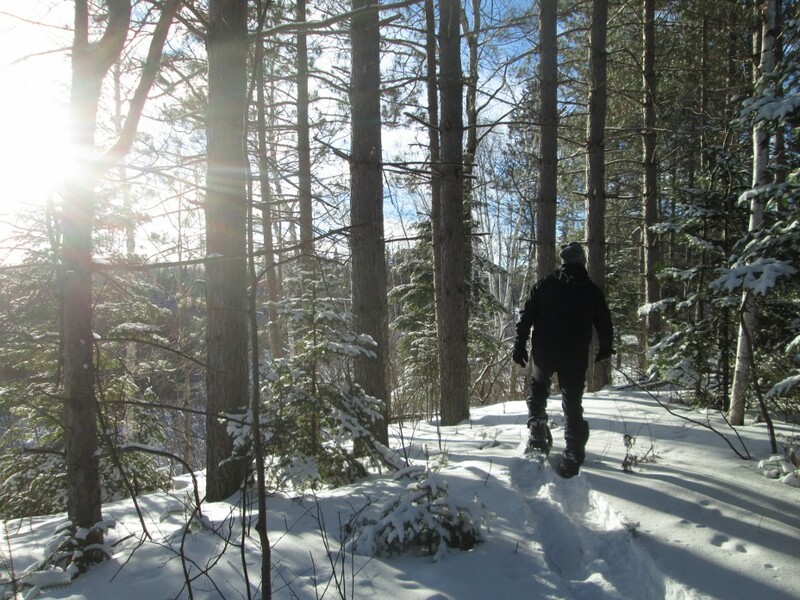 As the shadows lengthened, the time came to start looking seriously for the elusive great gray owl. Haley looks for birds. Photo by Emily Stone. 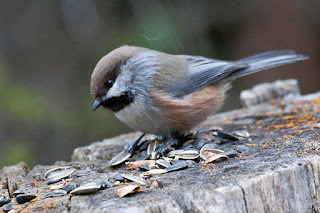 “It flew up onto a post in the yard of this house so we were able to walk down the road a little ways and get the scope on it.” Respectful birders are careful not to trespass or disturb the local residents too much. Great gray owl by Haley Appleman. How they find their food in the first place is even more incredible. “They have really amazing hearing,” explained Haley. “They have huge ears. The hole in their head is bigger than our hole, even though their skull is so much smaller. Their round, flat faces act like a satellite dish and focus all of that sound in. They can pinpoint exactly where the sound is coming from because they have offset ears. One is slightly higher and forward, and the other is slightly lower and pointed backwards. So no matter where the sound comes from it hits their ears at different times, and they can tell exactly where it is.” This process is called triangulation. Soft feathers give owls silent flight, so that they can still hear their prey while in the middle of an attack. By using their ears to hunt, owls are able to “see” their prey even in low light. Darkness isn’t the only cover that mice hide under, though. 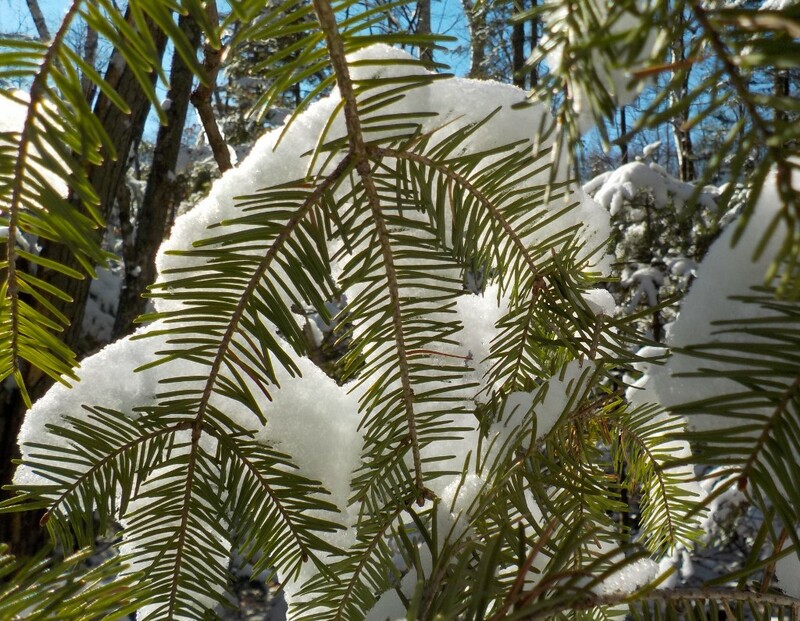 “Especially for the northern owls that are hunting here in the winter,” said Haley, “their food is covered by snow.” Great gray owls hunt from low perches, and can hear prey underneath two feet of snow. With a great crash, they’ll plunge feet-first into the drift, and hopefully come up with lunch. 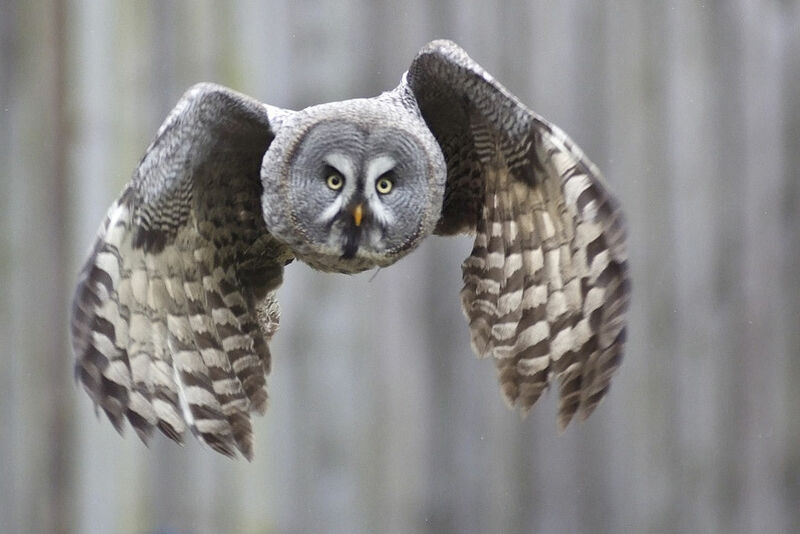 Great gray owl by Arne List of Germany. The woods were filled with light and shadows. 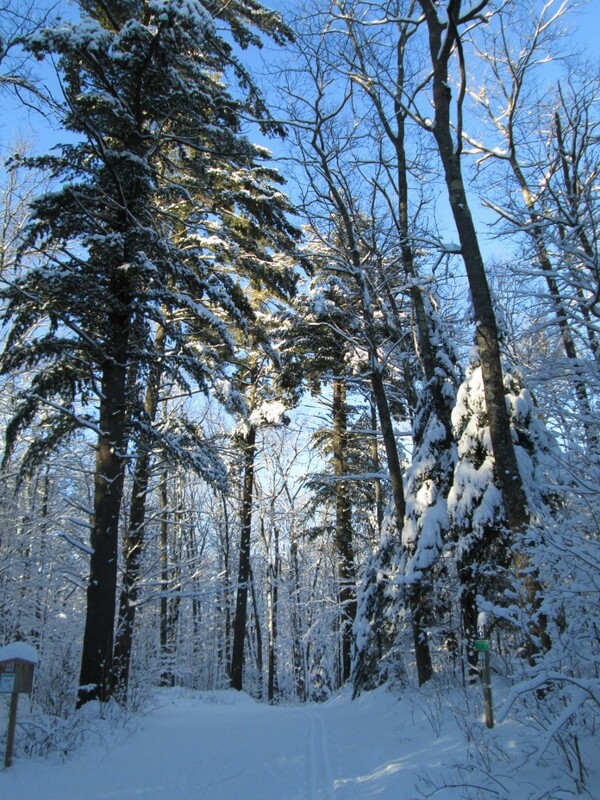 Blinding white and midnight blue painted the ground, while the breeze blew fairy crystals of snow through rough, brown trunks. Although Lois Nestel (the Museum’s first naturalist) may not have fancied my mode of travel (fat bike), she certainly would have appreciated this scene on the beautiful Seeley Hills trails. 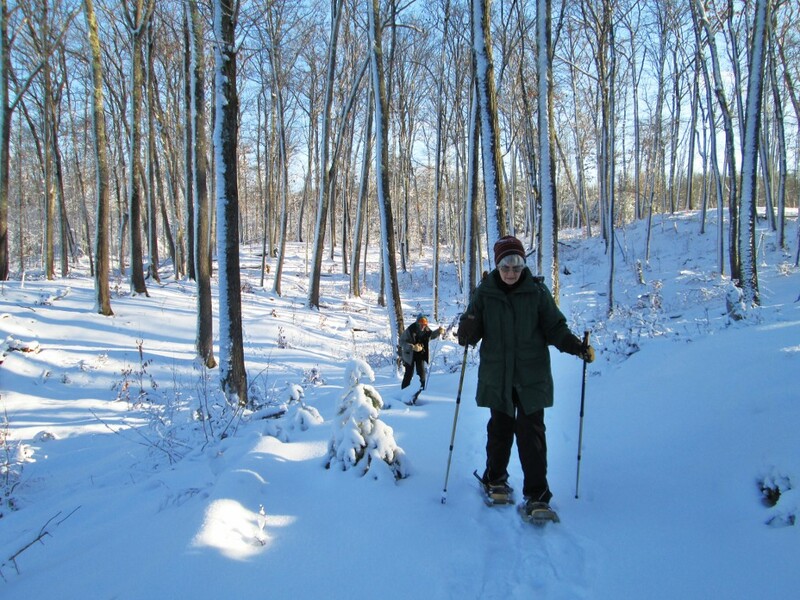 Lois had her own favorite ways of getting out to enjoy each winter, and she wrote about the snowy landscapes she cherished in her newspaper column, “Wayside Wanderings.” During the Museum’s 50th birthday year, I’m sharing some of her stories again. It’s a relief—a deep cleansing breath—to escape from our current, fast-paced news cycle into her gentle and reverent words. Recently, I caught my own breath at the shining magic of the near-full moon as it played peek-a-boo among the trees. Lois’s words floated through my consciousness. Letting my skis find their own way in the tracks, I swiveled my head as far as it would go to enjoy the moon’s glittering path. Later that night, the luminous glow—amplified by snow—fostered insomnia. 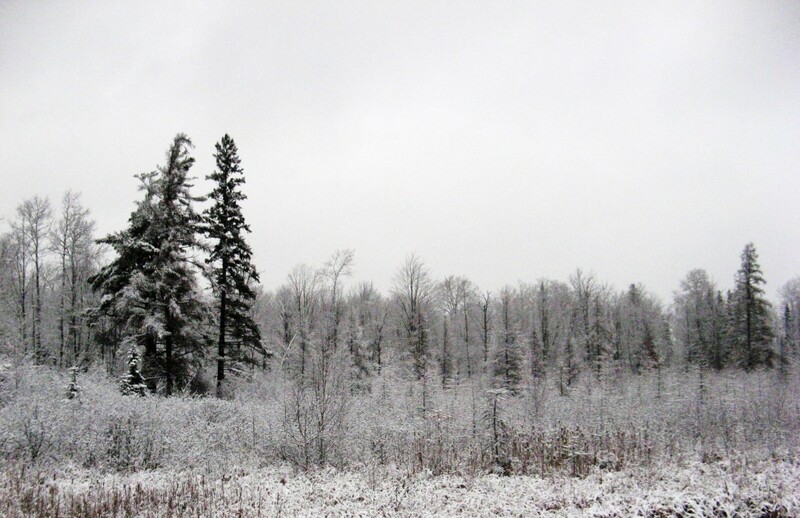 In the Northwoods, trees are as much a part of the winter landscape as snow. They complement each other, and accentuate the other’s beauty. Lois appreciated each one in her own whimsical way. 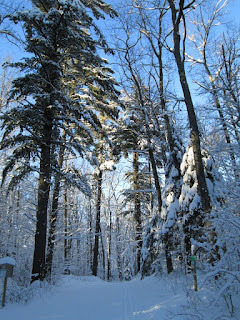 We are lucky to live where snow and trees surround us. Perhaps we should all take a cue from Lois and spend a few moments each day gazing with gratitude at our extraordinary world. 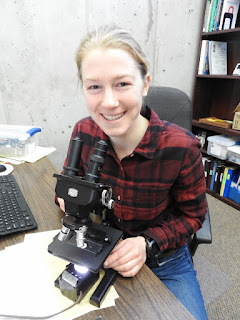 Kaylee Faltys, the Museum’s new Curator, sat down with me recently to talk about her hunt for the wondrous water bear. “To know about something for eight years and then finally see it was thrilling!” said Kaylee. She’d first learned about water bears in an aquatic invertebrate ecology class as an undergraduate. Water bears, also known as tardigrades and moss piglets, are aquatic, microscopic, eight-legged animals, and are thought to be the most resilient animals on earth. “They are the ultimate honey badger!” joked Kaylee, referring to a viral video from 2011 about an African mammal who was named “The World's Most Fearless Creature” by the Guinness Book of World Records. The catchy tag line from the video was “honey badger don’t care.” While honey badgers don’t care about venomous snakes and stinging bees, water bears don’t care about extreme temperatures, x-ray radiation 1000x the lethal human dose, desiccation, the vacuum of space, and pressures higher than you’d experience in the deepest part of the ocean. 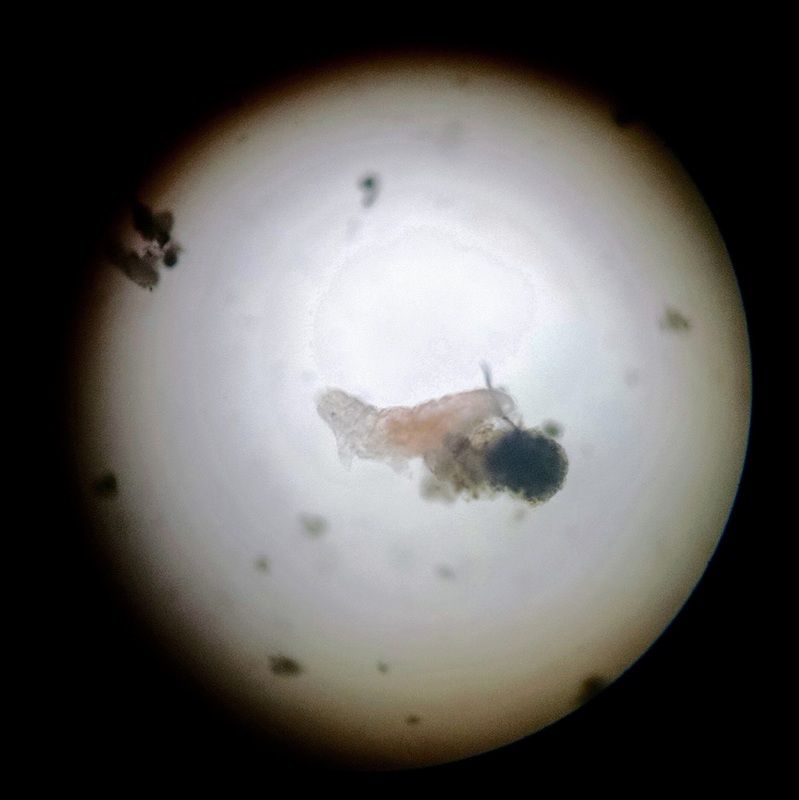 Among scientists and naturalists, water bears have developed quite a reputation for being tough. 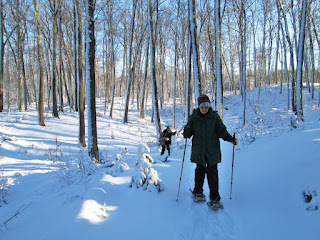 So, armed with her trusty pocket knife and bundled up against subzero temperatures, Kaylee ventured into the untamed wilderness—of the Museum’s backyard. After slicing a small patch of lichen off the tree, she brought it back inside and soaked it in room temperature water overnight. Kaylee hoped that the frozen water bears would come back to life. Despite their crazy survival skills, water bears aren’t considered “extremophiles.” Those critters actually seek out and thrive in extreme environments like deep sea vents. 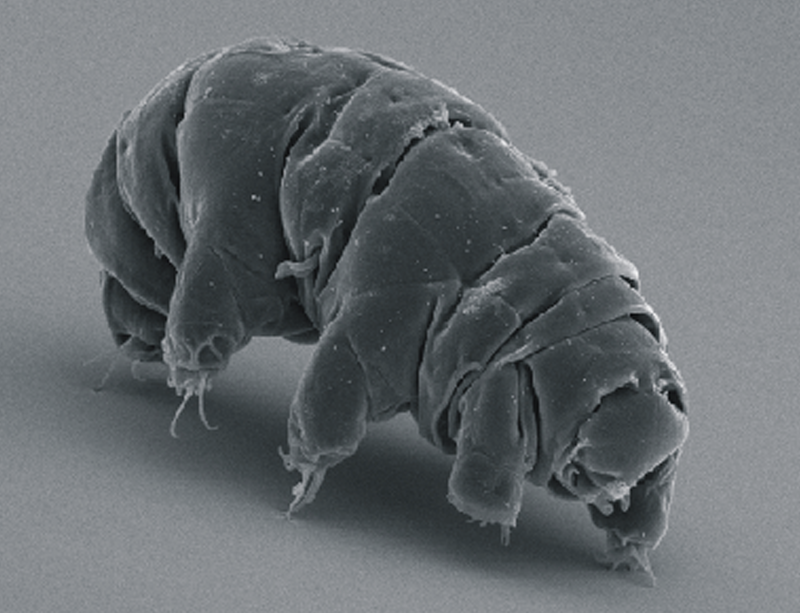 In contrast, water bears have learned to simply endure. Their strategy involves going into a state of “cryptobiosis” or extreme hibernation. All measureable metabolic processes stop. Their water content can drop to one percent of normal. The organism seems dead, but the condition is reversible. Mystical fog hung thick over the fen, and droplets of water glistened from the tip of each evergreen needle. 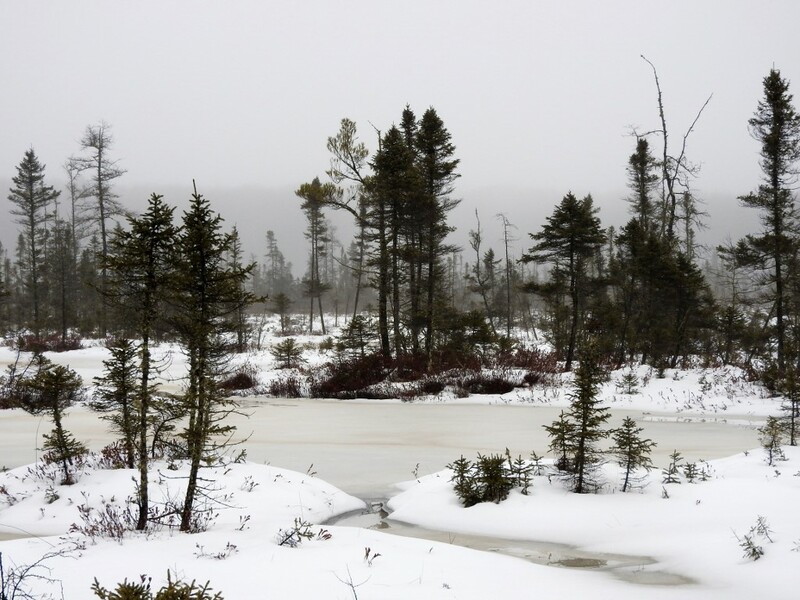 Dark, craggy sculptures of black spruce trees faded into the mist with eerie calm; their silhouettes stark against a melting snowpack. The Namekagon Fen State Natural Area is a beautiful place in every season, even when March comes in January. It seems like only yesterday that the dripping droplets came from sweat glistening at the tip of my nose, and we all squinted into the sweltering, late-July heat. On that visit, I brought along a TV crew and four teenage cast members to shoot an episode of “Aqua Kids” for public television. The show aired in November, and is now posted to their YouTube site (https://youtu.be/JSvjLd1LlBM). Watching the video, my toes remembered how warm the surface water on the bog felt, and how cold the bog pole remained when we pulled it up from 20 feet below the surface. 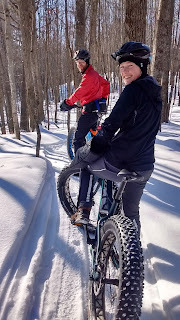 We never found the bottom, but we did discover where the deep cold of winter hides. The vibrant greens of July were nowhere to be seen on this most recent visit. Under the dim light and fog, the scene was etched in grayscale. With the Aqua Kids, I’d dissected a red-veined pitcher plant leaf and poured a mass of squirming larvae out of its miniature ecosystem. Those leaves are buried now, but the tall, dried stalks of their flowers poke up above the snow like periscopes searching for spring. Life was humming then. The fen is silent now, and still. Until you look closer. 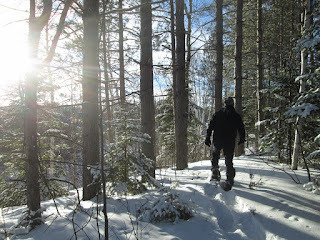 Shifting my focus from the faded distance, I noticed a smattering of black specks on the snow at my feet. Snow fleas! As I stared—trying to bring them into focus—they vanished one by one. 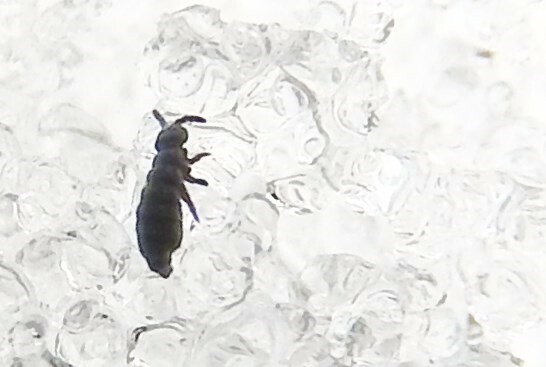 Snow fleas (also known as springtails) aren’t even insects. They do have six legs, but a lack of wings, simple instead of compound eyes, differences in molting, and a special mouthpart for drinking, set springtails apart from true insects. When startled, a snow flea releases a clasp, and a forked appendage snaps open against the ground. Launching up to 100 times their body length in an uncontrolled flight, they appear to vanish into thin air. Springtails are unbelievably abundant in moist habitats, and happily live in the soil and leaf litter year-round. Just one or two species come out on the snow, though, and they have a unique protein that works as antifreeze down to about 21 degrees F.
While crouched low and peering at snow level to watch the snow fleas, we finally spotted a dash of color. 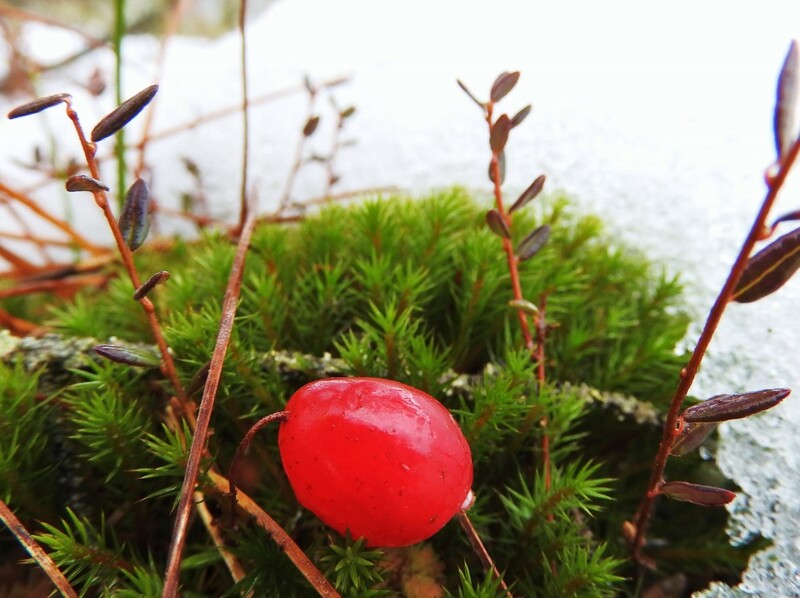 On a snow-free hummock under the thick boughs of a black spruce tree, lay a ruby-red cranberry on a bed of emerald moss. The fog seemed to lift for a moment as the tangy juice burst onto my tongue. Snowshoeing on the semi-frozen, snow-covered surface of the bog was slightly easier than wading through the drifts of soggy, summer sphagnum moss. 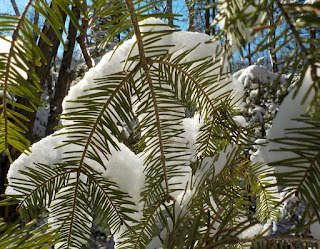 Occasionally, though, we broke through into a snow cave propped up by a scaffolding of leatherleaf twigs. 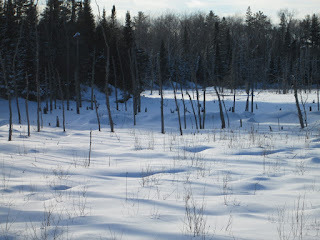 At the bottom of each hole, and often at the bottom of our footprints, was a little pool of slush. I saw one collapsed tunnel of a meadow vole, but not more. In a normal winter, with cold temperatures and plenty of fluff, small mammals seek refuge in the subnivean zone at the boundary between earth and snow. This melt turned that magical world into a slushy mess capped by ice. I’m not sure how the former residents will manage. At least one of the subnivean citizens came to the surface. 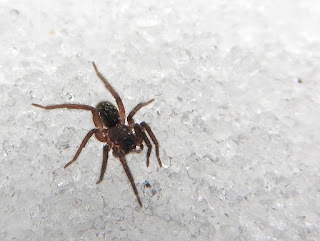 The small black dot resolved into an eight-legged spider on the snow as I bent closer. It was hard to see details in the low light, but I tried for an extreme close-up with my camera. Later, on the computer, I zoomed in to discover hairy legs and a dew-covered abdomen. Wolf spiders are common predators on the forest floor all year round. They overwinter as adults and sub-adults, and continue their lives in the subnivean zone. The cold doesn’t seem to slow them down as much as it slows down their insect prey, which gives them a hunting advantage. In the perpetual twilight under the snowpack, wolf spiders have another advantage. Two large eyes (in addition to two medium and four small eyes) give them excellent vision. A layer of special tissue in their eyes improves their sight in low light, and also results in eyeshine from probing flashlights. The dark bodies of spiders on the surface of the snow occasionally absorb so much heat from the sun that they begin to melt themselves into a divot. There was no sun today, but fog had condensed into sparkling water droplets on everything in the fen—including each of the spider’s bristly hairs. With the long view obscured these days, beauty must be found close at hand.